Tim and Tiff have been to Malaysia these years for international volunteer and business trip. We both took AirAsia, the biggest Low Cost Carrier in Asia for the trip and had a pleasant experience on board. 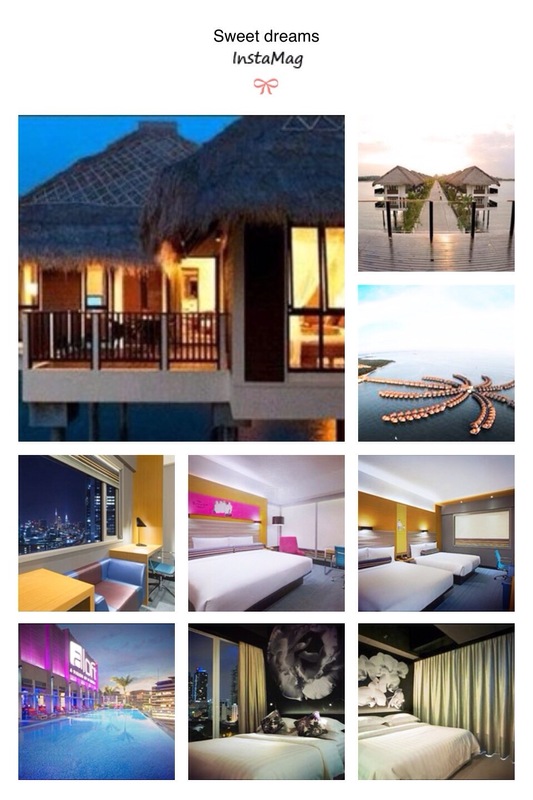 Our friend saw this cool travel competition on Selangor Tourism Website and shared with us. 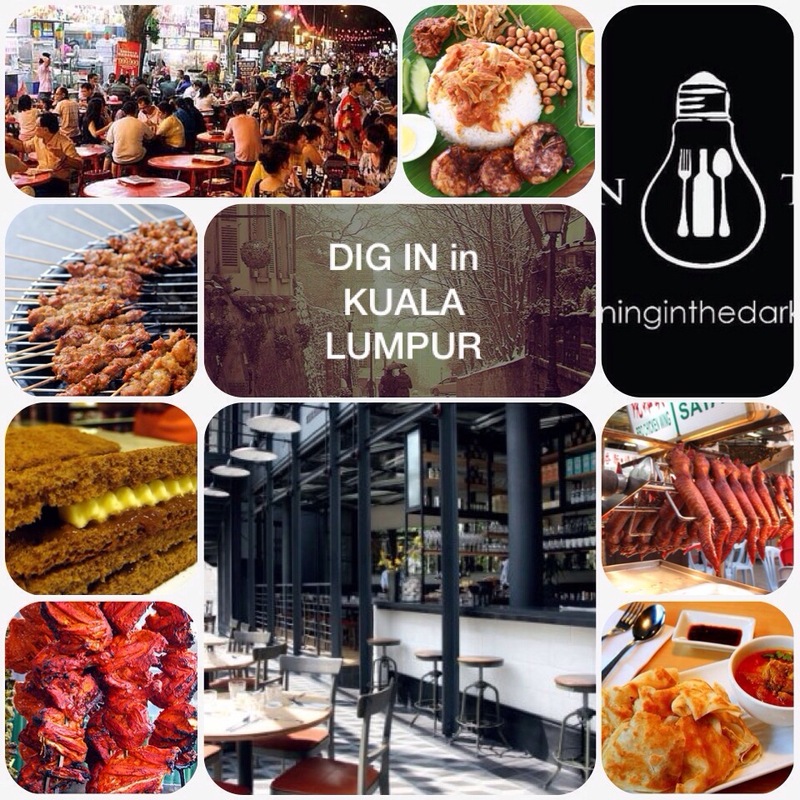 We wanna explore more of KL and here written out below is our travel itinerary. We aim to know the culture more, indulge more of the food, shopping and good night sleep in awesome stars hotel in KL. 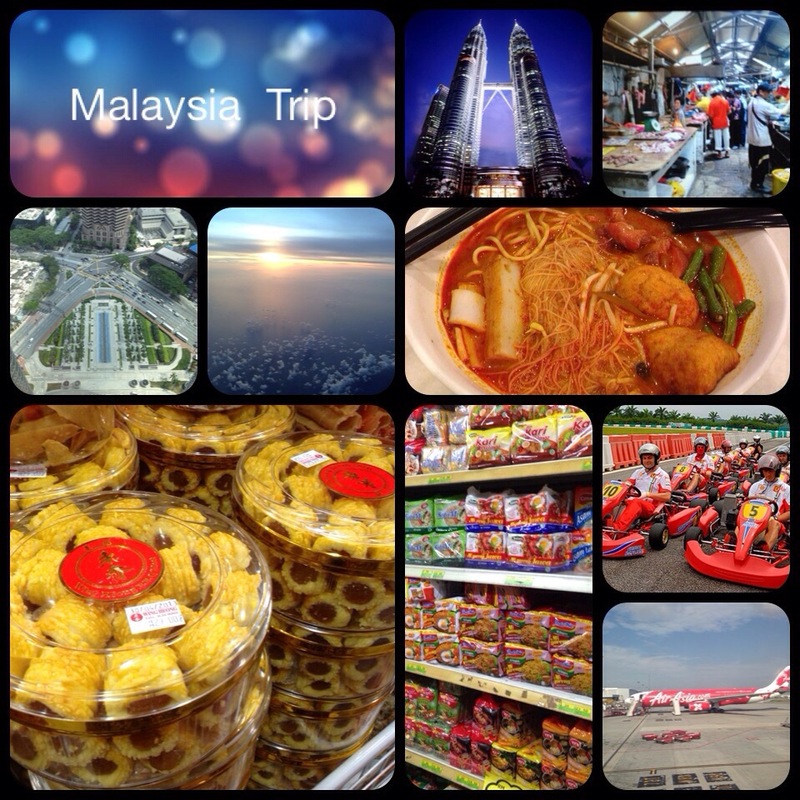 This travel itinerary is suitable for people that wants to relax, shopping, food, and good hotel in KL! ACCOMO-NDATION Le Apple Boutique Hotel Le Apple Boutique Hotel Aloft Kuala Lumpur Sentral Hotel Golden Palm Tree Iconic Resort Home sweet home! Landing at KLCC around 2040-2100, it’ll be around 2300 after arriving downtown and check in the hotel. Have an early sleep to begin the journey! Grab local breakfast (or hotel breakfast if it’s included) and off to climb BATU Cave. We will have a stroll around the area and catch a local tour to Batu caves and a boat for fireflies adventure in the evening. Start the day in Chow Kit Market and off to Masjid Jamek, Petaling St, Independent Sqaure to explore the diverse culture in Malaysia. Shop in malls of Golden Triangle. Dining at Jalan Alor or Dining in the Dark for a surprise in our sense of taste and enjoy the city twilights with the hotel’s roof top pool. Morning swim in the pool then off to Sepang to race in “Go Kart, Sepang.” Enjoy the splendid Golden Palm Tree Iconic Resort after a nice race and relax in the pool. Chill in the resort till check out time. Check in at the airport, shop around at Duty Free, and grab dinner in Old Town before boarding. Can have a last bite of Malaysian food and save expense for on board dining. Time to go home! Thanks for Malaysia for a wonderful time! #1 TPE-KUL/ KUL-TPE: AIRASIA will take us back and forth from Taiwan to Kuala Lumpur. *Be aware there are 2 airports in KL: one is KLIA (Kuala Lumpur International Airport), the other is LCCT (Low Cost Carrier Terminal)of AirAsia’s. Check where you are going, and what you are taking to prevent last minutes freaking out. There are three lines: Ampang Line, Kelana Jaya Line, and Monorail Line! We plan to stay in AirBnb or Tune hotel in the beginning, however after checking room rate which was only a few dollar less than a hotel, we gave up on them, moreover found out there are many great stars hotel with great deal here, so decided to stay in hotels during our stay in KL. Having a great night in bed is essential when traveling, it double your energy throughout the trip and make a trip much pleasant. – Thought it’ll be awesome to check out a boutique hotel and found this hotel with great deal and what’s more located in the Golden Triangle Area aka the shopping area. A good location to rest between attractions and have metro station in nearby distance. – The neon modern hotel interior and the roof top pool was what it caught our eyes and made us want to stay here. It’s a 4 stars hotel in Starwoods Hotels&Resorts Group attracting young travelers (like us!) for a chic night. – An ultimate resort just an hour outside of the hustle and bustle city, the iconic palm tree design resort is a lure to escape from the city life and we want to chill within it, even if we aren’t far from the city. Besides below list, we have a list of food we wanna try- nasi lemak, roti canai, satay, tandoori, roti gala…scrump scrump! – We enjoy checking out new café shop around Taipei, and want to do the same thing as we travel abroad. Looking up on the internet, ACME BAR & COFFEE is the Winner of the Best New Restaurant in the Time Out KL Food Awards 2012, saw many recommend from bloggers and website, they have great brunches, however we are here to check out it’s afternoon tea/coffee and phenomenon. – Address: 44A & 46A, Changkat Bukit Bintang, Kuala Lumpur. – A whole new experience while dining in the dark, start off in NYC and buzz over to the heart of Asia in Kuala Lumpur, we can’t wait to have a surprising night wonder what the dish have in surprise for us and enjoy our tastebud away. There is classic and vegetarian set menu to choose from, and we hope to choose one of each to try them out. – Night market in Kuala Lumpur. We will indulge ourselves in hawk stands, have satay, any Malaysian food we can find out there. Scrump, scrump! – Having 50 years of history, Malaysian chain café shop provide the finest white coffee to the world and we are here to have a zip, as well as fill up our stomach with supper before going on board back home sweet home! – After 272 steps and climb into BATU Cave which is an essential prayer site for Indian, as Malaysia is a mix culture of Malay, Chinese, and Indian, going to Indians cultural site with less than an hour away to understand more of the culture is a crucial stop when visiting KL. – The oldest mosque in KL having Morrish architecture. Experience muslim culture in the mosque. – aka China Town in Kuala Lumpur, a glimpse of how Malaysian-Chinese prepare the Chinese New Year which is right around the corner. – The Golden Triangle area from KLCC to the shopping area in Bukit Bintang, there are numerous shopping area from Fahrenheit 88, Berjaya Time Square, Starhill Gallery, Low Yat Plaza, Sungei Wang Plazea, LOT 10, BB Plaza, IMBI Plaze to Pavilion Kuala Lumpur. We just can’t wait to shop till we drop here from Tiff’s fav Forever 21, Cotton On to Tim’s TopShop, unfortunately we don’t have these fast fashion shops in Taiwan, and here we go! – The tallest twin tower in the world that shines the city through days and nights. We will lift our way up to the Skybridge (Level 41&42) to hover over the city and to stand in the tallest suspended twin tower bridge in the world. – Night market in Kuala Lumpur near the Golden Triangle Area to indulge in Malaysian evening with a night of hawk stands and a jolly stomach back home. – the largest wet market in KL, also known as the Red District of KL, seems we will find here a great deal of local food to start off the day. 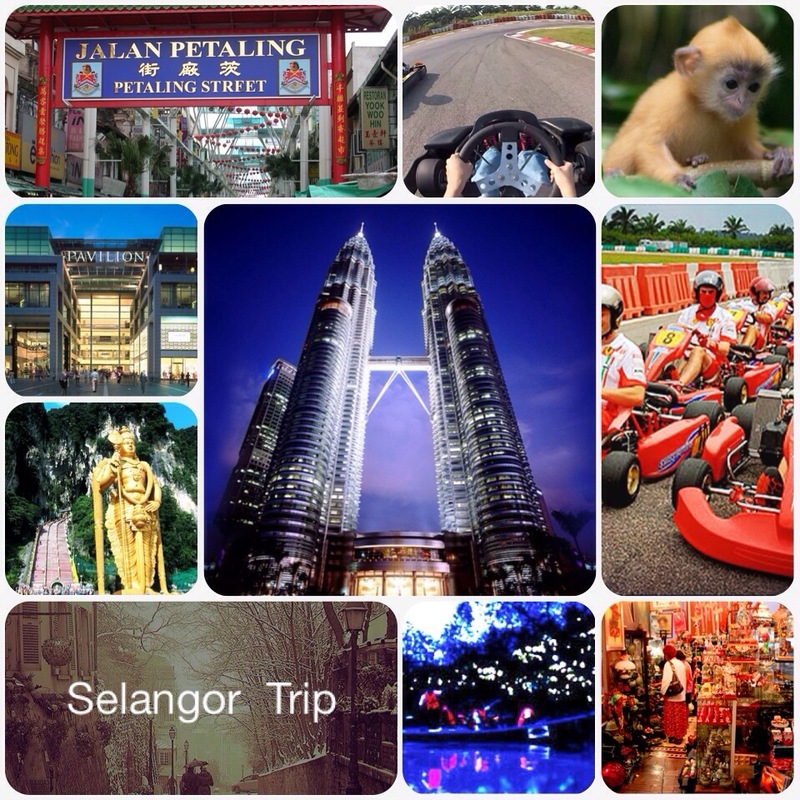 – Kuala Lumpur being one of the Asia stop for F1, fast racing in F1 race track is a life time experience to remember. We will have a Karting in the afternoon and take a ATV Circuit Tour (approx. 120 mins) to challenge each other and race our life.